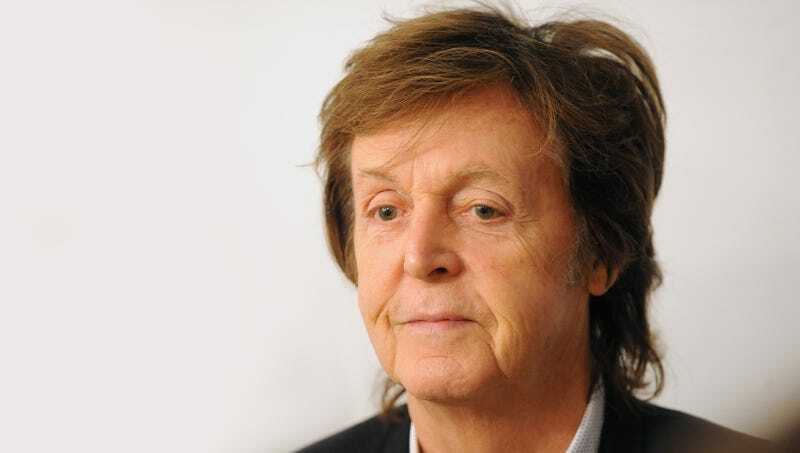 NEW YORK—Expressing his grief and despair over his fallen friend, musical celebrity emeritus Paul McCartney was saddened Monday to learn that his longtime collaborator and Beatles bandmate John Lennon had died. “I’m shocked and saddened to hear about the passing of a man I’ve long counted among my best mates,” said the 18-time Grammy winner, admitting that he’d expected to run into Lennon at The Beatles’ Rock & Roll Hall Of Fame induction ceremony, but had “too much pride to ask my bandmates what John was on about.” “We had lost touch for a few years there after having a bit of a falling out, and I naturally assumed that was why I hadn’t heard from him in so long. This couldn’t have happened at a worse time—I was just wondering if fans would respond if we got our old band back together. Such a shame. I suppose now we’ll never know.” At press time, the grief-stricken and almost inconsolable McCartney said the worst part would be breaking the news to fellow bandmate George Harrison.